“To be successful in business, you need partners who understand you and your business needs. It’s all about long-term relationships. 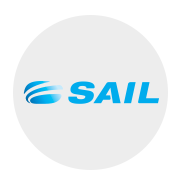 SAIL has used Brand inc for several years because of their commitment, their passion, understanding of our requirements, their professional attitude and amazing creative delivery. Brand inc’s ability to deliver diverse creative work and constantly provide us with fresh ideas is what makes the difference. They are simply good at what they do. They are an amazing group of people both individually and collectively to work with. Our teams in Cape Town and Joburg are ready to amplify your next project.